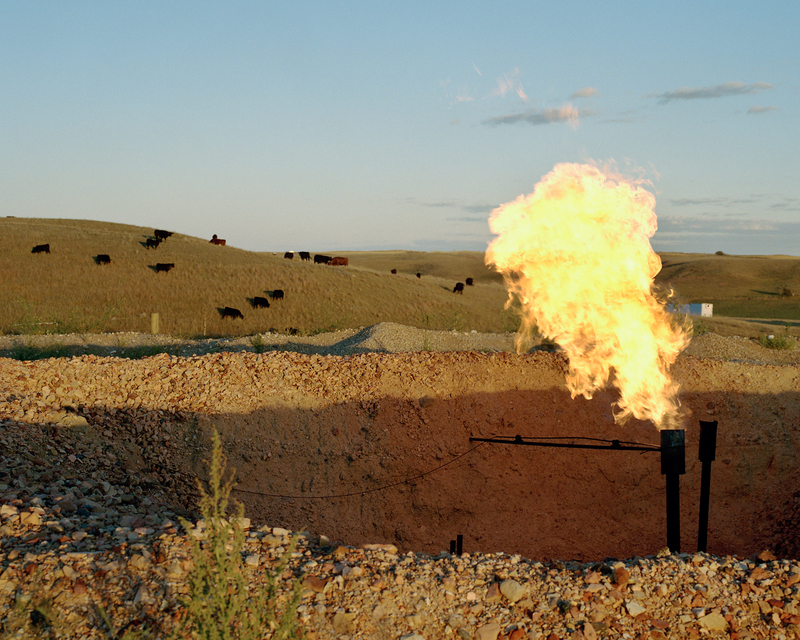 No single photograph in Sarah Christianson’s When the Landscape Is Quiet Again: North Dakota’s Oil Boom gets one’s blood boiling. Her images of her home state—which has, in several booms since the early ’50s, changed from a predominantly agrarian economy to an industrial one based around oil extraction—elicit a slower-burning experience of rage. Rather than focusing on obvious signs of destruction, Christianson’s photographs (paired here with generously informative captions) collectively emphasize the insidiousness of the waste and danger that are often hiding in plain sight. This entry was posted in ART, photography, REVIEWS, San Francisco and tagged ART, art photography, art reviews, fracking, North Dakota, photography, San Francisco, Sarah Christianson, SF Camerawork. Bookmark the permalink.